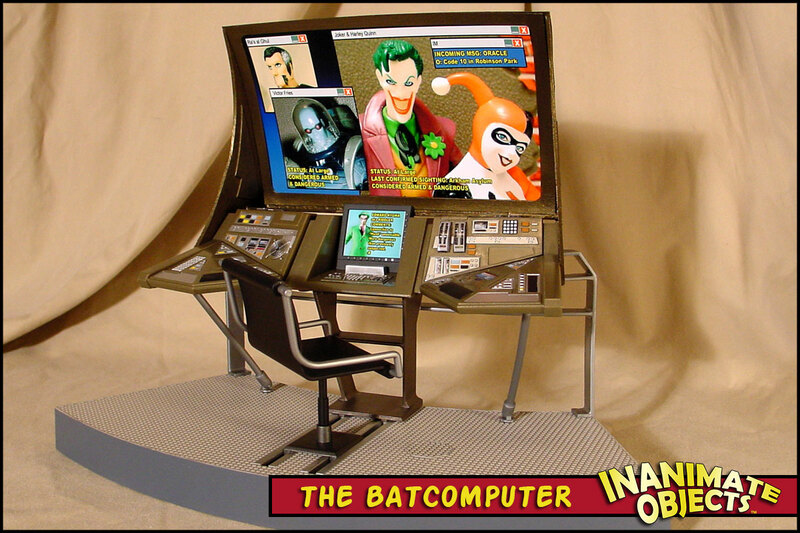 During CustomCon 10, Max Robinson submitted some images featuring a Star Trek: Enterprise computer playset as a background piece for his Batman customs. I thought this was a great idea and built upon it. As seems to be the trend lately, I wanted to keep this project simple and short, while other projects are brewing. No Batcomputer would be complete without a giant screen. (Ever wonder how Bats can sit so close and not ruin his eyes?) Originally, I intended to use plastic parts and styrene to build the screen. 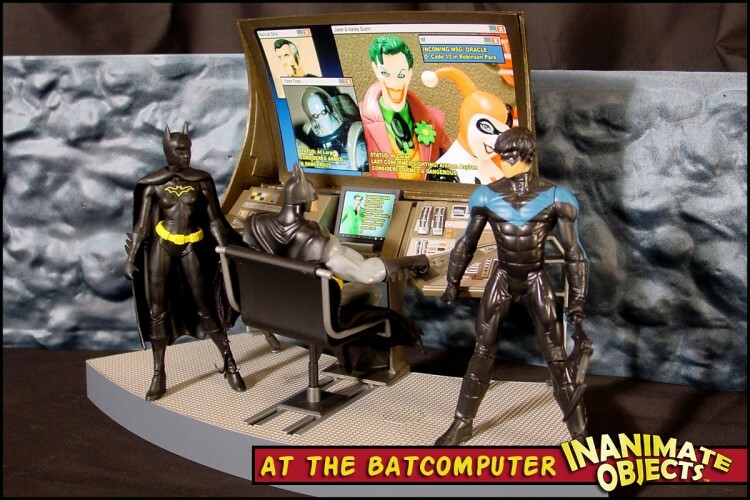 The “wings” were meant to be parts of an animated Batman glider, but I didn’t have the proper epoxies to make the various plastics and styrene pieces bond together. So I changed directions and went with paper products, specifically bristol and illustration board. The screens were (hastily) layed out in Photoshop. I did my best to match the paint to the bronze color of the playset. I’m pleased with the final product, and the whole thing was finished in one evening.